Okay so a while back (junior year of high school) I had a debate with one of my friends during ceramics class about this and she said I was crazy and that it wasn't possible. BUT seriously I can do this in my dreams! Do any of you experience this as well? Does this one happen to any of you? I read once online that this happens because while you are asleep you don't really have much room to really move around so it's your bodies way of subconsciously telling you that? For example, I'll have a dream where I'm trying to run away from something but my feet become so heavy that I start running in slow motion. I know this one is really common but we can't leave this one out because it's kind of a creepy cool out of body experience. It's really scary though I've heard that it's your body jerking you awake because it felt like your heart was stopping. But the science side of it says that it's your brain misinterpreting why your muscles and the rest of your body is relaxing before you enter a deep sleep so it makes your muscles contract which causes the jerking movement. I read once that this dream can mean that you feel like you don't have control of your life and the bigger the vehicle the bigger the problem is. I think this one is pretty common as well. Does anyone else have this dream? I occasionally will dream that I'm driving a pickup truck with my sisters inside of it with me. We could be driving in the middle of no where or in the middle of town but once the dream runs it's course I'll start losing control of the car. So I'll try really hard to keep it from crashing into anything which causes us to swerve. The last time I remember having a similar dream to this was at the beginning of the year. I dreamt that I was on a school trip and the bus driver left the drivers seat because he was scared. I was forced (by my classmates) to go up and save everybody on the buses life. I ran to the front of the bus and pushed as hard as I could on the brake and try taking control of the steering wheel, once I was able to gain control of the bus (which then turned into a giant horse out of nowhere) I did a semi donut turn to stop it next to a giant bench so that everyone could safely get off. I've also noticed that these dreams mainly occurred before I was able to drive. 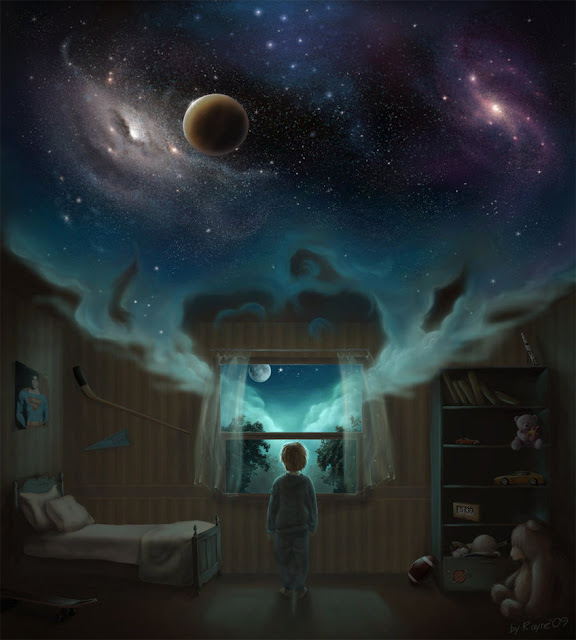 I wouldn't necessarily say that I'm a lucid dreamer because I can never control my dreams. Though I can realize that I'm dreaming while I'm dreaming and acknowledge that I'm dreaming and tell myself that it is a dream and continue on dreaming. Then once I wake up I can remember telling myself that I was dreaming while I was dreaming. Does that make sense? I had this dream where my family and I where leaving a laundry mat in the middle of the night. We were approached by a man who pointed a gun at us and told us to give him all of our belongings. We frantically started backing ourselves into the car. When the man was about to shoot, bubbles started coming out of his gun? 10. Waking. Up. Before. THE GOOD PART!!!!! Do I need an explanation?! "Every morning you have two choices: continue to sleep with dreams or wake up and chase your dreams. The choice is yours..."
I love talking about dreams! I have had 3, 5, 6, 7, 8, 9,10. I've never had 1 though, but maybe in the future. I think smell is possible but I've never had that happen in a dream. Right!! I've read that usually it'll be something that you may have smelled during that day or something you may have smelled while you were sleeping and it somehow made it's way into your dream. Thank you :D Ugh! Right!!! It's like noooo!! Brain why would you do this to me :'( haha. I don't think there is a bigger deception then that. I hate that feeling of falling, I really can't stand it and I'm always really panicky when I wake up from it ! I'm with you when you say you can feel things in your dreams, I think you can :) I also really loved the quote you left at the end , I just think it's so beautiful that you wake up and you have a whole day to do whatever you want with ! I can totally relate to dreams about driving a car that is out of control ( in addition I don't have my license and I'm trying to avoid being pulled over by the police) and the dreams about falling ( which usually ends in waking up with my heart racing in fear). I also have dreams about being pregnant and I wake up wondering if I actually am ( though I've read that this kind of dream has to do with the desire to be creative and work on some kind of project). My dreams are a crazy place sometimes but interesting when I remember them . I hate waking up before the good part. I mean why??? I am so happy and can't wait to see and then my mom or some sort of sound wakes me up. Just great... Love this post.